I made the case that people with Parkinson's Disease are essentially stuck in the Freeze/Death Feigning response of the human Nervous System, due to over-activation of the Dorsal (subdiaphragmatic) branch of the Vagus Nerve, responsible for immobiziling the body when our system experiences lethal-level threats. There, I proposed that this is the only framework for understanding which elegantly and robustly explains all the complex symptoms and real life experiences of people with the condition. In this article, we explore this perspective further, and cover, in particular, how it also readily explains the "standard hypothesis" of PD too, i.e. that the disease is "caused" by cells in a small part of the brain ceasing to create dopamine. Furthermore, understanding how Dorsal Vagus activation impacts dopamine deficiency, we will glean some practical knowledge of the biochemistry of dopamine too, and discuss how this can be applied to improve our quality of life. "... dopamine is essential to feel that it is worth making a movement... [it is needed] to feel motivated to move in the first place, particularly for habitual, automatic forms of movement. The greater the [reward] of an [anticipated] outcome, the faster people move to bring that outcome about, as more dopamine is then released, giving people a sense of pleasure and energy boost. [Greater dopamine release] also strengthens the [neural pathways] involved in that movement, so that the movement will be easier next time." In effect, if there is no dopamine being released, there is no "joy" in movement. Conversely, if there is no motivation to move, there is no dopamine release needed, and so the system atrophies further as the neural connections involved in movement weaken. Movement becomes harder next time, decreasing the pleasure in it, and hence the motivation to move too, even more. This is why movement therapies are essential for people with PD to prevent rapid degeneration, because it is very much "a use it, or lose it" condition. Dorsal Vagus activation, while the Ventral Vagus is inhibited, may be caused by emotional/physical trauma and chronic levels of "stress". So how does such trauma, biologically, contribute to disease? One mechanism actually lies in some basic biochemistry. This biochemical impact of trauma will also help us make more sense of non-motor issues inherent with PD too, such as our sensitivities to chemical exposures and propensity for food intolerances. Indeed, some of the problems we see in chronic conditions bear remarkable similarities to rare genetic disorders which cause specific "enzymes" to go missing in the body and brain's biochemistry. However, in chronic conditions, the reason the system no longer produces enough of these specific enzymes is not necessarily genetic, or at least is "epigenetic" (gene activity changes arising during the development of complex organisms). Instead, enzyme problems can be due to the Nervous System being in constant crisis, stuck in "Survival Mode", resulting in the normal detoxification and anti-inflammatory functions of the system going awry. These detoxification functions are known to require Parasympathetic control of the Nervous System, particularly by the Ventral (supradiaphragmatic) Vagus Nerve. When traumatized or constantly stressed, such that the Dorsal (subdiaphragmatic) Vagus and/or the Sympathetic (spinal) Nerves are controlling the system for too much of the time, our normal biochemistry becomes strongly disrupted, and many of the chemicals and chemical reactions required for detoxification are inhibited. As Dr Stephen Porges says in his book "The Pocket Guide to the Polyvagal Theory", Ventral Vagus control of the Nervous System is requisite for "Health, Growth and Restoration". Disrupted detoxification pathways go hand-in-hand with disrupted sleep, which is a very common outcome of trauma and chronic stress, and a very common symptom of PD, since prolonged sleep is when the major detoxification processes normally peak. They also correlate with constipation and urination problems, which are caused by Dorsal Vagus activation, and are common in PD, since this means major exit routes for toxins are blocked. We are already well aware of the linkage between biochemistry and chronic diseases in regards to imbalances of the many hormones and neurotransmitters the body produces. For example, we are familiar with the concepts that there are critical shortages of dopamine in Parkinson's Disease, serotonin in Alzheimer's, insulin in Diabetes, and so forth. But there are also important steps behind the production of these major messenger chemicals which can provide missing links between the Nervous System, trauma, stress and disease. The chemical steps required to not only build these neurotransmitters internally, from components sourced from food and drink, sunlight, etc, but also through which they are they broken down and flushed out of the brain and body after use, involves the creation of intermediate chemicals and waste products of many sorts. Some of these by-products are highly toxic/poisonous to human biology. An important example in PD, which we will explore in depth below, is called "DOPAL", which is a toxic aldehyde inevitably created in the breakdown of the neurotransmitter dopamine (recall 50% of which is created in the gut, so we are not only thinking of problems in the brain here). Why would our bodies create chemicals which are toxic to itself? Simply because this is in the nature of the chemistry and the inevitable waste products created in the process. However, naturally the body has also evolved the required biochemistry to remove these toxins as quickly as it can, by converting them rapidly into non-toxic substances that are then easily eliminated. These chemical removal processes, however, require the right catalysts [substances which accelerate the rate of the reaction] in order for the removal to keep pace with the internal production of the poisonous by-products/pollutants of neurotransmitter chemistry, and hence to convert and rid the system of these toxins before they accumulate. For example, the catalysts "aldehyde dehydrogenase" (ALDH) are required to remove the poisonous DOPAL generated by dopamine chemistry, fast enough to prevent its build up. However, if these catalysts aren't being produced, are ineffective for some reason, or are otherwise lacking in specific areas of the body or brain, then this represents potential disaster, as the levels of slef-generated toxins can then build and build, and start to auto-poison the system. One mechanism by which these catalysts are downregulated or diminished is through the chronic Dorsal Vagus activation routes mentioned above. The resulting poisoning then keeps the body and brain locked into trauma and stress, thus further inhibiting the correct functioning of waste-removal catalysts, and also disrupting the removal of other self-generated toxins. If these disrupted biochemical processes are not addressed, the likely outcome is therefore degenerative disease. For example, as we cover below, the inhibition or lack or of ADHL catalysts is now strongly implicated in the onset and degeneration of Parkinson's Disease. One effect of the resulting toxic build up of DOPAL is that this aldehyde actually kills off (or at least inhibits) the dopamine producing cells which create it as a waste product. Perhaps, rather than pathology, this inhibition of dopamine should be seen as the Nervous System's back up plan for preventing the auto-poisoning from DOPAL when removal rates become insufficient? This does not rule out the role of external sources of chemical poisoning in chronic conditions, because if the body is already missing the right levels of enzymes, or the detoxification pathways are already stretched to breaking point trying to remove specific internally generated chemicals, the system simply won't be able to deal with any additional burden created through contact with the same class of chemicals, e.g. from food, skin products, pesticides, fumes, etc. For example, people with PD are likely to be very sensitive to ingestion or contact with aldehydes, as a chemical class, because their system is already be struggling to remove DOPAL. In this way, biochemical disruption through trauma and chronic stress make people more susceptible to poisoning by environmental factors, and more likely to develop chronic diseases when exposed to specific substances. In biological systems, healthy biochemistry requires catalysts (reaction rate enhancers), called "enzymes", which help remove build of auto-generated toxic by-products of internal chemical processes. While enzyme underproduction/malfunction can be caused by rare genetic disorders, the disruption of the very subtle biochemical balances of the body in which they are involved, especially the detoxification pathways, can also be readily achieved via trauma or chronic stress, with similar outcomes. Next we consider a specific case of this disruption and its outcomes for Parkinson's Disease. by Laurie Leigh Eckert. A brief overview is included provided below, together with a schematic graphic taken from the thesis. DOPAL is a highly toxic aldehyde, necessarily created by the breakdown of dopamine in the brain and body. In healthy people, DOPAL is quickly reduced to other non-toxic chemicals DOPAC (and DOPET), which are then eliminated. In people with Parkinson's Disease, DOPAL rises to toxic levels, and the chemical reactions pathways which turn it into DOPAC are broken. The toxic levels of DOPAL which result causes damage/death to dopamine producing cells. Therefore, seeking solutions which help convert the DOPAL to DOPAC more efficiently may be of paramount importance in Parkinson's Disease treatments. Unfortunately, current drug therapies are mainly aimed only at increasing dopamine, without addressing the required detoxification pathways, adding further to the toxic DOPAL burden. Here is a more in depth discussion of the above overview. However, the breakdown of dopamine in the system is potentially toxic as it creates a type of "aldehyde" called DOPAL., as a waste product. In a healthy person, however, this toxic by-product of dopamine production is mopped up by an enzyme called "ALDH" which converts DOPAL quickly to less harmful chemicals. In people with Parkinson's Disease, this ALDH enzyme seems to have become inhibited, such that DOPAL is able to build up to toxic levels in the system. In effect, a delicate balance has been broken, so that a process which normally helps us feel good and motivated in itself becomes poisonous. Without sufficient ALDH activity, the production cycle of dopamine therefore creates a build up of toxins, which in turn harm the cells involved in the dopamine cycles, killing, damaging or at least shutting them down. In some sense, we might see this self-shutdown of dopamine producing cells in response to excessive DOPAL not as pathology, but as the body's wisdom, a self-regulation mechanism. As discussed above, trauma and chronic stress can disrupt the healthy enzyme activities of the body, for example resulting in ALDH resources being stretched to remove internally created DOPAL. In this case, any additional exposure to aldehydes will worsen the situation, as more of this type of chemical ingested by external sources, increasing the total aldehyde toxic burden. As the total aldehyde toxic burden of the body and brain escalates due to accumulated exposure sources, the removal requirements will eventually exceed the ALDH levels available. At this point, symptoms will worsen rapidly as poisonous levels of aldehydes will begin to build up in the system. An example is exposure to pesticides which are known to disrupt the ALDH process. It is therefore likely that multi-factorial aldehyde "insults" or contributions are at work in any one case of onset of dopamine deficiency and its rate of progression. Each person will have a different combination of contributions to the aldehyde overwhelm which result in the dopamine deficiency, and everyone will have a different "final straw that broke the camels back". This is why so many difference potential "causes" of PD have been identified in the scientific literature, but why no single universal cause has been found true for everyone. It is also why there is no one universal supplement, drug, diet or therapy which is beneficial for all people with PD, and why every one of us has a very different response to these. Again, this fits the total ADHL burden scenario, since yeast and fungal invaders generate aldehydes as by-products of their sugar consumption cycle, but also deplete the essential nutrients required for proper ALDH functioning. Unfortunately, aldehydes can be created in large amounts during Candida cleanses or die off, so addressing this issue can be problematic itself and cause a major increase in symptoms. Unfortunately, if the DOPAL mechanism is correct, this implies that excessive use of the current mainstay drugs for Parkinson's Disease are toxic once high enough doses are reached. This is precisely because the drugs force the system to generate more dopamine, overriding the self-protective dopamine cell inhibition when DOPAL is in excess, and thus continually adding to the aldehyde levels. In other words, if insufficient ALDH enzyme activity is a root cause of the original symptoms, then forcing the system to make more dopamine, and hence more DOPAL will simply add to the poisoning, unless the detoxification pathway is also addressed as part of the drug regime. The additional burden of the drug created DOPAL would then cause further dopamingenic malfunction/cell death, accelerating the disease itself, requiring ever more drugs to alleviate the symptoms temporarily. This is probably the reason why PD drugs are "biphasic" - while small doses are known to be neuroprotective, too much rapidly becomes neurotoxic - causing additional "symptoms" through long-term side effects. Indeed, ADHL issues have been linked to common complications of the drugs in the long term, including dyskinesia and psychosis (hallucinations, disabling anxiety, aggressive behavior, and sleep disorder). 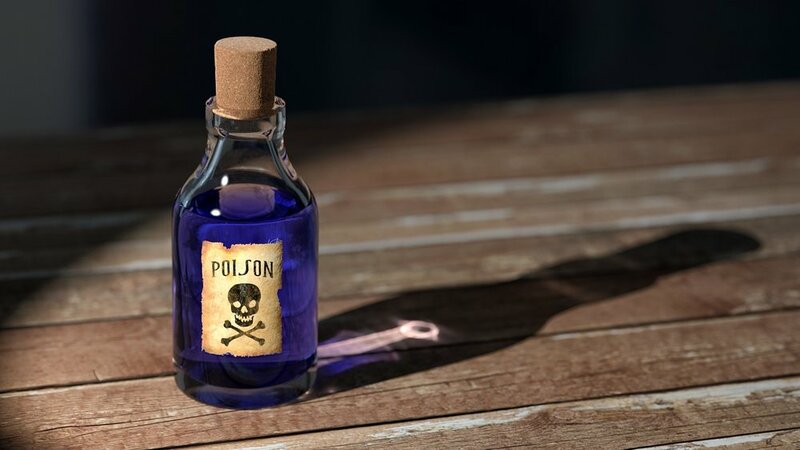 In fact, it is worth noting that acute aldehyde poisoning itself causes general narcotic action, delirium, hallucinations, severe damage to the mouth, throat, stomach, chronic respiratory disease, kidney and liver damage, throat irritation, reddening and swelling of the skin. These are all implicated in the long-term prognosis of current drug pathways for PD too, and perhaps this is no co-incidence. Indeed, increasing DOPAL levels is potentially damaging to any place in the body where dopamine is normally produced, including the gut, eyes, kidneys and various regions of the brain. Pragmatic Outcomes: what can we do? So given all the learnings and research above, what practical steps can we take? NEURAL EXERCISES AND PARKINSON'S DISEASE. Secondly, we need to explore how we might be able re-invigorate ADHL enzymes and support normal detoxification activity, in order to begin removing the back-log of aldehydes in our system, and then keep it under control. In this regard, we might try interventions which have proven success in helping to resolve other or general aldehyde poisoning issues, such as in the treatment of Candida. In particular, it may be beneficial to supplement specific nutrients which are required for ADHL to work, since if the aldehyde burden has been high for some, these nutrients are likely to have become depleted. This will be especially true for people with PD, who have serious digestion issues (due to Dorsal Vagus activation) which can prevent normal absorption from foods. Why Molybdenum Is an Essential Nutrient. mitochondrial amidoxime reducing component (mARC): ... thought to remove toxic byproducts of metabolism." a third to a half of the doses of the meds wouldn't work at all. Indeed, since starting my trial of molybdenum supplementation, I have had a couple of days where every single dose of the meds eventually kick in - this hasn't occurred in years before. I have since slowly increased to three to four of 150 mcg molybdenum tablets a day. In this time, I have also noticed a very significant further decrease in my pain, rigidity and brain fog symptoms. Due to this experience, I do believe that aldehyde poisoning has a significant role in [my] PD, and hence addressing this from every angle will heap rewards. One caveat on this, is that the molybdenum may be especially effective for me, because it also addresses my issues with sulphites, and also because I have already been habitualized to high doses of Parkinson's Disease medications for many years, to the point I started getting very serious dyskinesia at one stage.